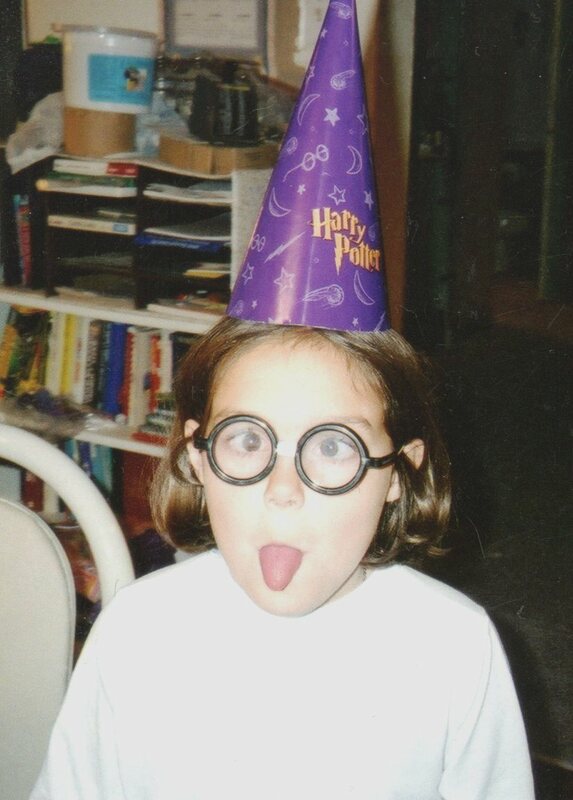 She has always been my wonderfully wacky girl! I love it!! 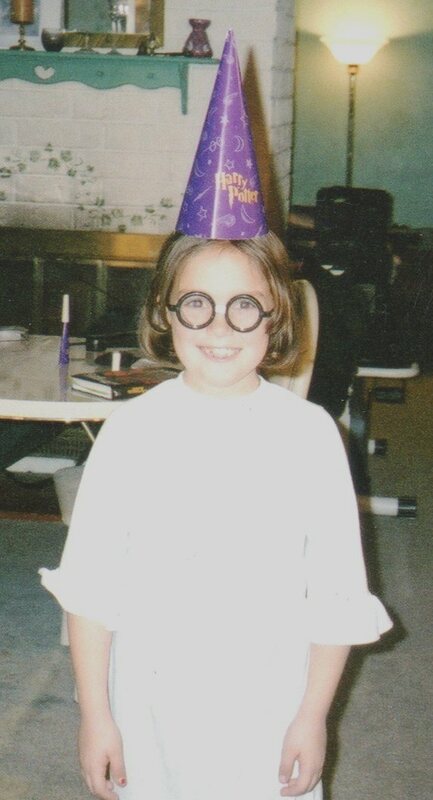 In the summertime, when she was home from school, she announced that she had found a Harry Potter “cookbook” online and decided she wanted to make “Butter Beer”. So off we went to the store to collect the ingredients to make her desired concoction. I have to admit, I was a bit skeptical. I mean yes, they had this drink in the movie. But did they REALLY drink it? I was surprised when the “brew” was actually palatable! It really wasn’t bad, just verrrrrrrrrrrrry sweet! So I chalked that up to experimentation and closed the chapter on “Butter Beer”, or so I thought. This time when she came home from school for a visit, her thoughts were still on her beloved butter beer, but she wanted an upgraded version, a “Butter Beer 2.0” so to speak. So on the internet she went to figure out what would quench her craving, finally settling on a recipe she found On The Garden of Yum. She requested a few things from the store and I did not question, I knew she was on a mission. With her ingredients at hand she set to work to create a new masterpiece. Kevin and I were quietly watching TV when she burst into the room with two glasses filled to the brim, with whipped cream and butterscotch sauce on top. “You have GOT to try this!” she exclaimed LOUDLY. Kevin took his glass from her and after just a few sips it was empty and he went looking for more. I decided I needed to give it a try, and believe me I was glad I did. I can’t eat/drink very much when it comes to sugar, but this was worth it! Place butter in a small sauce pan over medium heat. Once the butter is melted add the brown sugar and mix well. Reduce the heat to medium-low and add the half and half and the pinch of salt. Let the mixture simmer for 5 minutes, stirring often. Remove from heat and allow to cool. 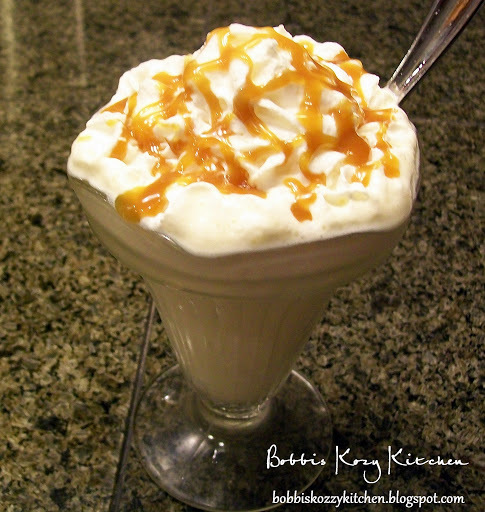 Place ice cream in a blender with the butterscotch sauce and cream soda. Blend to desired consistency. Pour into glasses, top with whipped cream and a drizzle of butterscotch sauce.